Use the filter on this page to view reports on state PE laws and rules for Alaska. Can Engineering Technology Graduates Earn a PE License?Continuing Education Requirements for Professional EngineersDefining the Practice of EngineeringDigital Signing and Sealing of Engineering DocumentsDisciplinary Self-Reporting RequirementsEducation and Experience Requirements for Professional EngineersExemptions to Engineering Licensure LawsState Licensing Fees for Professional EngineersViolations and Enforcement of Engineering Licensing LawsWhen Can I Take the PE Exam?Which States Regulate Structural Engineering Practice and Titles? Can Engineering Technology Graduates Earn a PE License? Earning a professional engineering license requires candidates to meet specific education requirements as well as experience requirements and the successful completion of two exams. The education requirements vary by state. In some cases, a degree in engineering technology from an accredited program is enough; however, in others it is not. Alaska allows ABET/ETAC degrees for licensure. Applicants with ETAC degrees are eligible for licensure. 12 AAC 36.063. ENGINEERING EDUCATION AND WORK EXPERIENCE REQUIREMENTS. (3) submit to the board satisfactory evidence that the applicant’s education or work experience or both are equivalent to the requirements set out in the following applicable table of education and work experience requirements for a professional engineering examination. ABET accredited B.S. degree in engineering technology. 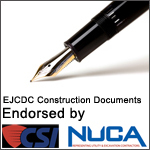 Continuing Education Requirements for Professional Engineers. NSPE has put together a chart of the state continuing education requirements for professional engineers. Self-study: All 24 hours can be taken online. All 24 hours must be taken on the topic of health, safety, and welfare. Defining the Practice of Engineering. The following compilation of laws relating to the definitions of the practice of engineering in each state has been developed by the National Society of Professional Engineers to provide detailed information about the breadth and scope of these laws nationwide. 13. “practice of engineering” means professional service or creative work, the adequate performance of which requires the specialized knowledge of applied mathematics and sciences, dealing with the design of structures, machines, equipment, utilities systems, materials, processes, works, or projects, public or private; the teaching of advanced engineering courses in institutions of higher learning; the direction of or the performance of engineering surveys, consultation, investigation, evaluation, planning, and professional observation of construction of public and private structures, works, or projects and engineering review of drawings and specifications by regulatory agencies; “practice of engineering” may by regulation of the board include architectural building design of minor importance, but it does not include comprehensive architectural services. Digital Signing and Sealing of Engineering Documents. The following is a compilation of state laws covering the digital or electronic signing and sealing of engineering documents. It has been developed by the National Society of Professional Engineers to provide detailed information about the breadth and scope of these laws nationwide. Alaska accepts similar electronic or digital representation of the seal if the registrant includes an original signature and date of signing. The seal authorized for use by professional engineers is of the following design or a substantially similar electronic or digital representation of the design. 12 AAC 36.185. USE OF SEALS. (d) The registrant shall include the date each time the registrant signs and seals a document by electronically or manually inserting the date within the seal or within two inches of the seal. (2) software in place that will automatically remove or modify the electronic image of the signature if the document is modified. Education and Experience Requirements for Professional Engineers. Education and experience requirements are a vital component of the engineering licensure process. NSPE has produced a collection of state statute and regulations regarding these requirements as a resource to our members and the public. 3. submit to the board satisfactory evidence that the applicant’s education or work experience or both are equivalent to the requirements set out in the following applicable table of education and work experience requirements for a professional engineering examination. 2. an evaluation of the applicant’s education from an agency approved by the board unless the applicant’s education has been earned at a school accredited by an accreditation agency recognized by the board. (2) responsible charge experience or successful completion of four years of responsible charge obtained within a mentoring system will be considered for credit only if it is gained after the applicant has completed education or work experience or both that are equivalent to the requirements set out in the table of education and work experience requirements for fundamentals of engineering examination in 12 AAC 36.062(2). d. For registration in more than one branch of professional engineering listed in 12 AAC 36.990, professional work experience used to qualify for registration in one branch of engineering will be evaluated by the board in considering an application for registration in another branch of engineering. Except as provided in (c) of this section, responsible charge or mentored experience must be entirely in the branch of engineering applied for and may not be counted as responsible charge experience in another branch of engineering or in land surveying. e. Education and work experience may not be accumulated concurrently. A maximum of 12 months’ credit may be claimed for a calendar year. f. The board will accept a maximum of two years of credit for professional work experience used in securing registration in land surveying as experience in securing registration in civil or mining engineering. g. Work experience for initial registration must be in the branch of engineering in which the applicant seeks registration for full credit to be given. If the work experience is not in the branch of engineering in which the applicant seeks registration, the board will determine the amount of credit to be given based on comparability with the branch of engineering for which the applicant has applied for registration. h. The board will accept up to a maximum of two years of subprofessional work experience for up to one half of the work experience required for registration based on its meeting the definition of "subprofessional work" in 12 AAC 36.990.
i. Notwithstanding (a) - (h) of this section, an applicant authorized by the board to take the examination before 11/20/99 may continue to qualify for the examination under 12 AAC 36.040. 2. submit as a part of the final report a statement from the professional engineer, who served as the mentor, recommending the applicant for registration. (2) have at least two years of progressive structural experience, in addition to the eight years of education and work experience or both that are equivalent to the requirements set out in the applicable table of education and work experience requirements for a professional engineering examination in this section. Exemptions to Engineering Licensure Laws. The following compilation of industrial, manufacturing, and governmental exemptions to engineering licensure laws has been developed by NSPE. 3. An officer or employee of the United States government practicing architecture, engineering, land surveying, or landscape architecture as required by the person’s official capacity. 10. An officer or employee of an individual, firm, partnership, association, utility, corporation, limited liability company, or limited liability partnership, who practices engineering, architecture, land surveying, or landscape architecture involved in the operation of the employer's business only, and further provided that neither the employee nor the employer offers engineering, architecture, land surveying, or landscape architecture services to the public; exclusions under this paragraph do not apply to buildings or structures whose primary use is public occupancy. State Licensing Fees for Professional Engineers. NSPE has put together information regarding the fees to apply for PE licensure, renewal, and reinstatement in each state and territory as well as the cost of taking the PE exam in each state. Whether you're pursuing a PE license or you are an established PE, NSPE is here to offer a wealth of resources to our members and the public. Violations and Enforcement of Engineering Licensing Laws. The following compilation of laws outlines the investigative, disciplinary, and enforcement policies and procedures that can be taken in each state and territory in response to improper and unlicensed engineering has been developed by NSPE. When can I take the PE exam? is one of the most common questions from PE license candidates. The answer varies by state, and in some cases you may be allowed to take the exam sooner than you think. Taking the PE exam before gaining approved experience is not allowed. Which States Regulate Structural Engineering Practice and Titles? The following is a compilation of laws relating to the practice of structural engineering in each state. 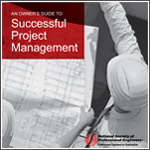 The compilation has been developed by the National Society of Professional Engineers to provide detailed information about the breadth and scope of these laws nationwide.